First of all, no large chain is exclusively using a Bluetooth headset system. What you probably have is a few rogue franchisees who have taken it upon themselves to save some money by going this route; which they aren’t supposed to. One of their “customers,” McDonald’s, went from using Panasonic to HME for their restaurants. From our side, we are eight replacements in for this system and counting. There are a variety of reasons however the chief issue is the connectivity. 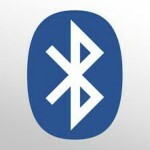 I have borrowed some excerpts from Business Insider to further explain the issues with Bluetooth. - But Bluetooth is still so unreliable. Its got a short range, devices disconnect randomly and it uses up battery life. Even though it’s been around for 20 years. - Bluetooth uses the 2.4 gigahertz frequency to communicate with other devices. This frequency and a few others are referred to as the ISM band, for Industrial, Scientific and Medical devices. This is the spectrum that baby monitors and cordless phones all use. It’s also the same frequency fluorescent lights and microwaves emit. These frequencies don’t require devices to have an FCC license to operate on them. This makes the band attractive to manufacturers because they don’t have to deal with the FCC. Because of this, the ISM is brimming with devices. And they all interfere with your Bluetooth devices. - Bluetooth falls into one of three classes. Class one, for long-range nearly 300 feet. Class two, they have a range of about 30 feet. This is what most cell phones and speakers use. Class three devices have a range of fewer than 30 feet. Class two and three devices generally use low power Bluetooth. But even low power can use up precious battery life on your device. And if you have a class two speaker 20 feet away from your device, it still may not work great. Especially if there’s any interference coming from other devices. - Bluetooth also transfers data much slower than WiFi does. While devices connected via the new WiFi Direct standard will be able to transfer data at 250 megabits per second, Bluetooth 4.0 can only get up to 25 megabits per second max. After reading that, does it sounds like a reliable solution for your business? Do you anticipate positive feedback from your customers who cannot rely on a steady conversation with your employees? In the same light, you’re just asking for frustration from your employees going this route. There is no denying the cost difference but after adding up the hours of frustration, attempted troubleshooting, the return, and purchase of a replacement system and its installation, you’ll be into it for a lot more for it both mentally and financially than if you went with a reliable product up front.